37, p. 39). If we measure the couple producing the twist, and the number of fringes which pass by, we can find the corresponding angle of twist, and a simple calculation gives us the measure of our coefficient of rigidity. • This ratio takes into account the increased attraction duo to the greater density of the load sphere. of this small ball. This force is so exceedingly small that it is difficult to measure it by an ordinary balance, even if the microscope is employed. But by the interference method the approach of the large ball to the small one produced a displacement of seven whole fringes. The number of fringes can be determined to something of the order of one-twentieth of the width of one fringe. 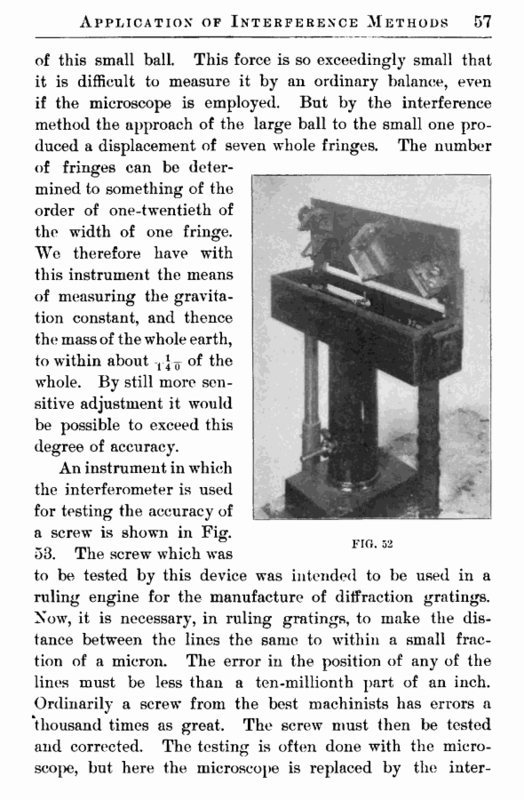 We therefore have with this instrument the means of measuring the gravitation constant, and thence the mass of the whole earth, to within about T* T of the whole. By still more sensitive adjustment it would be possible to exceed this degree of accuracy. 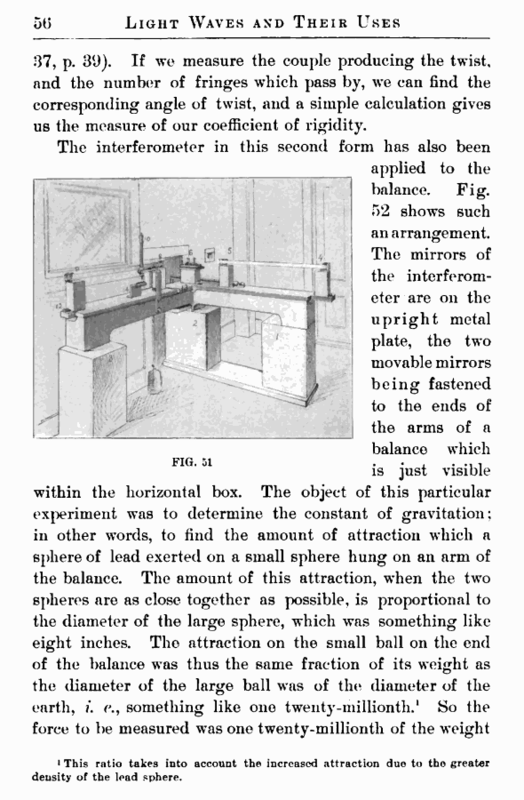 An instrument in which the interferometer is used for testing the accuracy of a screw is shown in Fig.